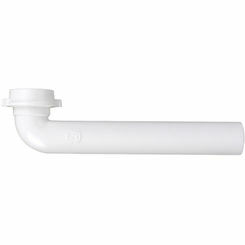 Connection Size : 1 1/2"
Drain pipes are a crucial part of any bathroom sink installation (or kitchen sink for that matter). 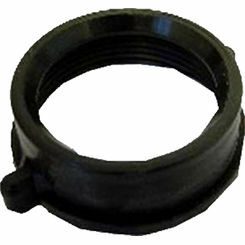 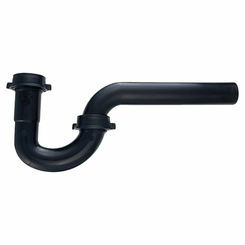 PlumbersStock offers a wide array of waste pipes, T-Traps, P-Traps, drain connections, and other products needed for a drain assemblage. 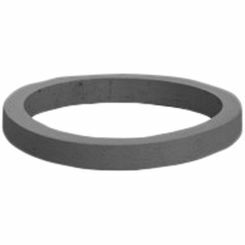 We carry trusted brands (Watts, Elkay, Sioux Chief). 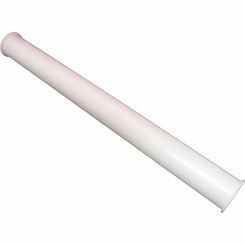 Traps: Traps are used to prevent sewer gases from entering the home via the sewage system, the most common of which being T- and P-traps. 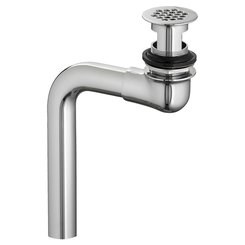 All sinks AND tubs need these products in order to bring your bathroom/kitchen up to code. 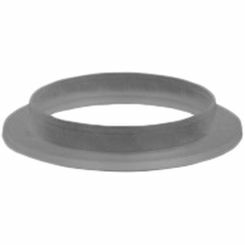 Washers: Though these are pretty ubiquitous in the plumbing world, washers are especially important in drainage assemblies. 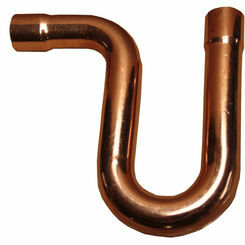 They are used to avoid leaks and ensure waterproof connections between pipes. Waste Outlets: These sink drain pipes are used to transport waste, without clogging or contaminating flowing water. 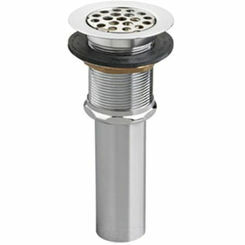 All sinks must have one; fortunately, installing them is easy, and affording them is even easier. 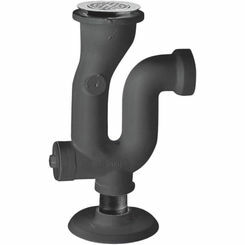 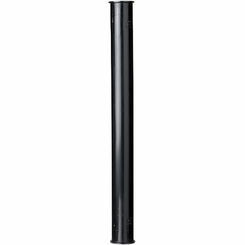 Vent Air Admittance Valves: Air admittance valves help remove sewage from a building, regulate air pressure, and facilitate flow. 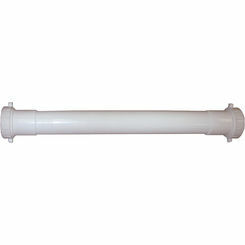 They also help eliminate drainage and soil waste odors. 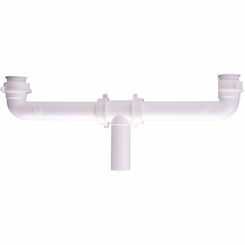 Turn off Water Main: Whenever you are working with sink drain piping, turning off the water main is an absolute must. 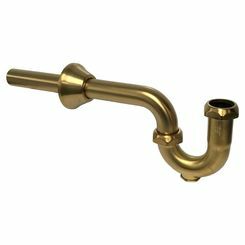 Don’t forget to do so, or you could cause water damage to your home and bathroom. 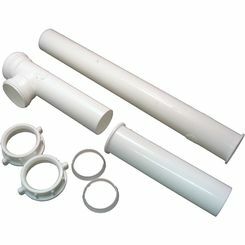 Use Plumber’s Putty and other Water Proofing Measures Liberally: Joints on piping are quite fickle and can leak/come apart, regardless of how the products are shipped. 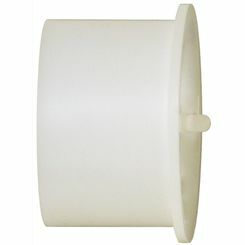 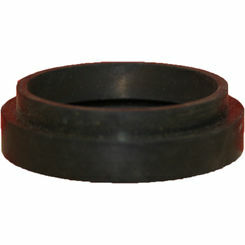 Thus, when connecting piping to each other, use plumber’s putty, gaskets, O-rings, washers, and more to ensure they do not leak. 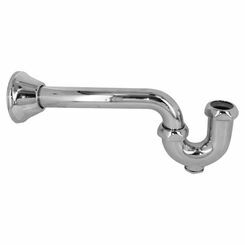 Tighten Completely: Whenever installing nuts, attaching sink drain pipes, or screwing in items in which water will be flowing through, make sure to tighten until you can’t tighten anymore (while using thread tape, if you are screwing in a pipe). 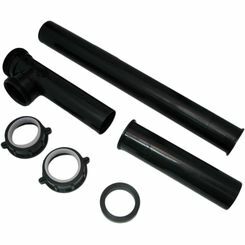 This also will ensure leak proof connections, while making absolute positive that it stays together for a long time. 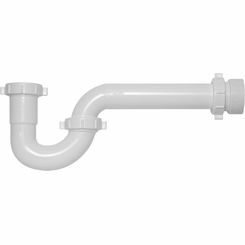 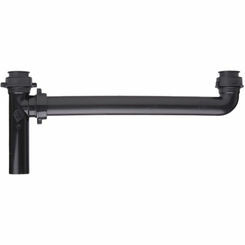 For more information about PlumbersStock’s wide variety of sink drain pipe, parts, an accessories, or to get some help installing your new purchase, call or contact us. 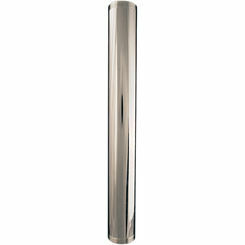 We will help you out as much as we can. 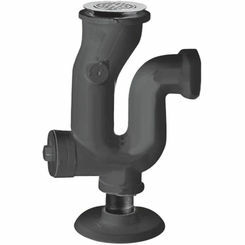 Save on all your sink parts with the plumbing experts.